On Monday, US President Donald Trump criticized tech giant Google for allegedly spreading misinformation about him and accused the company of hiding stories with positive content about his presidency. "Google search results for 'Trump News' shows only the viewing/reporting of Fake News Media. In other words, they have it RIGGED, for me & others, so that almost all stories & news is BAD… 96% of results on 'Trump News' are from National Left-Wing Media, very dangerous. Google & others are suppressing voices of Conservatives and hiding information and news that is good. They are controlling what we can & cannot see. This is a very serious situation-will be addressed!" Trump said Tuesday on Twitter. ​Dr. 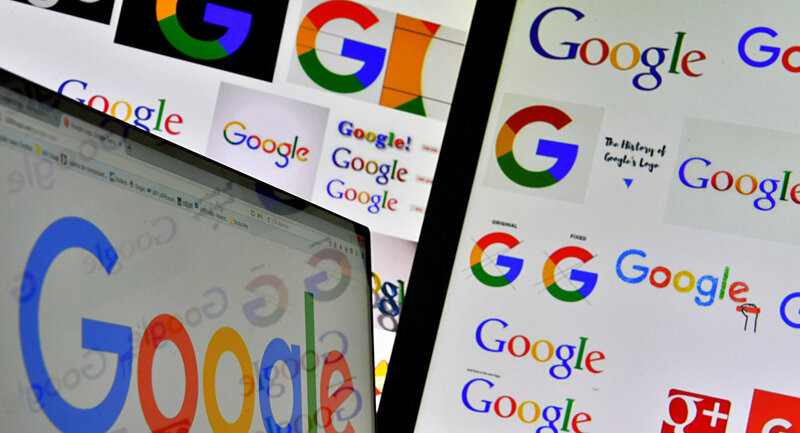 Robert Epstein, the senior research psychologist at the American Institute for Behavioral Research and Technology, told Radio Sputnik's Loud & Clear that while Trump's outrage was directed at Google's reported suppression of right-wing outlets, beneath the surface are huge implications about Google's power and ability to surveil virtually every part of people's lives. "The censorship phenomenon, I've been writing about that for quite awhile," Epstein told hosts John Kiriakou and Brian Becker. "I did an investigative piece for US News and World Report called ‘The News Censorship,' and because of Trump's tweets on the issue, I would urge people to take a look at that article again. There are legitimate issues here, whether Trump is right or wrong, and whether conservative stories are being suppressed." "That, in my opinion, is irrelevant to the larger issues here, which is that Google has the power, so does Facebook and Twitter, to suppress all kinds of material. It acknowledges suppressing all kinds of material, and who on Earth gave it that kind of power to determine what 2.5 billion people around the world see or don't see? That's the big issue here," Epstein added. On Tuesday, Google said that its search results didn't favor a particular political ideology. "Search is not used to set a political agenda, and we don't bias our results toward any political ideology," a Google spokesperson said. On Tuesday, Director of the National Economic Council Larry Kudlow told reporters that the US administration is considering the possibility of tightening regulations on Google. When asked whether the Trump administration was looking into possible regulation for Google, Kudlow said, "We'll let you know. We're taking a look at it," Sputnik reported Tuesday. "The Trump administration might be going ahead, somewhat aggressively, looking into the regulation of Google," Epstein told Radio Sputnik. "Google and Facebook have nothing to sell except us. So, it's a completely different business model [than Microsoft]. Microsoft sells a few things, but mainly they sell software. Google sells us," Epstein continued. "It's a business model, the surveillance business model, which I believe should be illegal, in part because it is inherently deceptive, but also because it's a tremendously dangerous because of the information they are collecting about us and the ways they are discovering to use that information, not just to determine what we buy and who we vote for, but ultimately to build models of us that allow companies to predict our behavior and ultimately to exercise more and more control over our thinking and behavior. It's a dangerous and deceptive business model which should be illegal. Period," Epstein argued. "The fact is that major news organizations and major universities very mindlessly and naively share all of their emails, outgoing and ingoing, and very important documents with Google, naively thinking that Google doesn't share, store or analyze such information. The fact is, we are talking about organizations like the New York Times, The Guardian, the Financial Times. We are talking about the Daily Caller, The Hill. All of these organizations and many more and major universities share all of their email with Google. It's absolutely absurd," Epstein added. "Google is the biggest data miner in the history of humankind. Google in fact collects the data and stores this sensitive data. This gives Google the ability to monitor ongoing investigations. This gives Google the ability to assess companies that they might want to buy to make interesting stock decisions. This gives Google access to a world of information that they should have no access to whatsoever," Epstein continued. On Tuesday, The US president also told reporters at the White House that Google is taking advantage of a lot of people and characterized the charge against the tech giants as very serious. Trump said "thousands and thousands of complaints" were coming in about the tech companies.